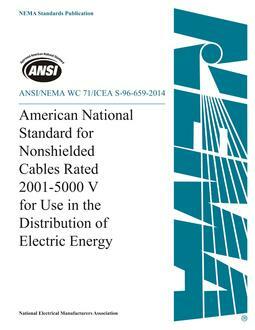 This Standards Publication covers the ampacity ratings for 600-15,000 volt solid dielectric cables installed in cable trays. 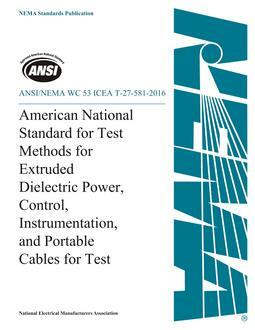 Ampacity ratings are tabulated for single conductor cables, triplexed assemblies of single conductor cables, and three-conductor cables incorporating an overall jacket. 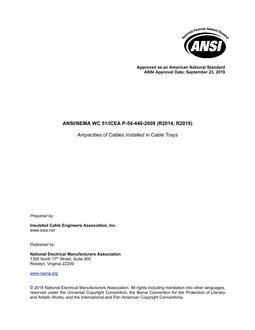 Ampacities have been tabulated for the cable constructions and the operating conditions normally encountered for tray applications. Correction factors to adjust the tabulated values to better reflect specific conditions are provided. These include adjustments to account for ambient and operating temperatures, cable construction, tray covers, and diversification of the cable loading.